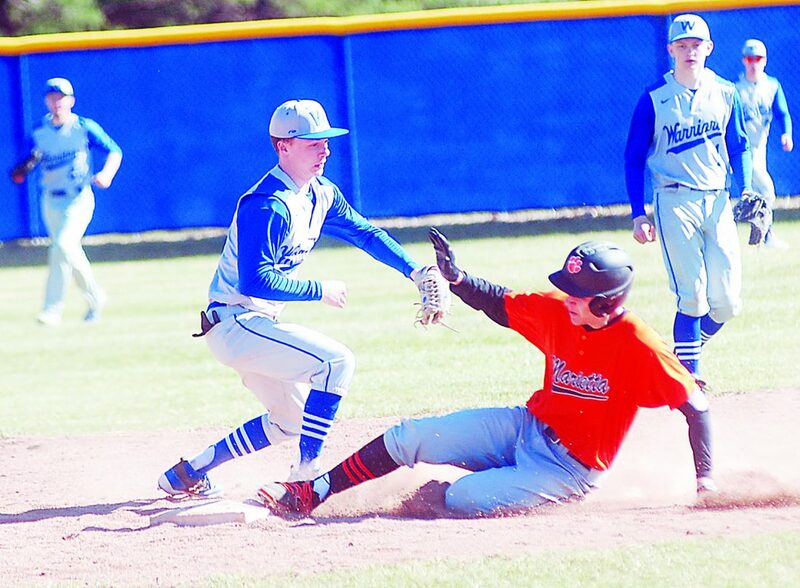 Photo by Jordan Holland Marietta High’s Adam Coil, right, slides safely into second base for a two-run double as Warren’s Seth Dennis fields a throw during a high school baseball game Saturday in Vincent. 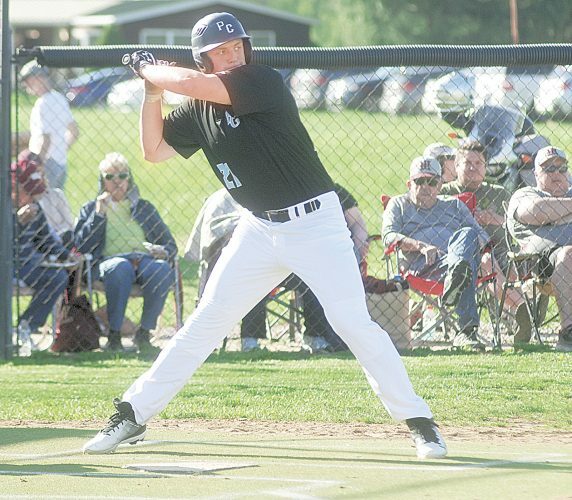 VINCENT — Marietta High got off to a hot start Saturday in the Washington County Tournament, defeating Caldwell 17-0 before besting rival Warren 9-1 to begin the 2019 baseball season 2-0. Warren won earlier in the day, defeating Caldwell 12-2. The Tigers will play Fort Frye Monday at Legion Field in the county championship. MHS is looking for its third straight county title. 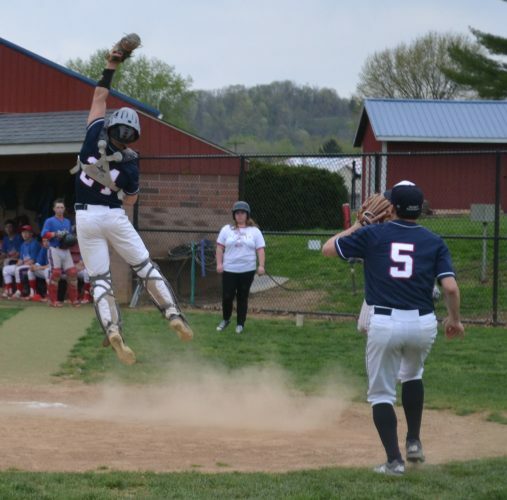 The Warriors (1-1) got on the board first against the Tigers when Noah Edgell poked a two-out RBI single to center field to plate Caleb Davis, making it 1-0 after three. MHS starter Corbin Alkire walked Davis with one out. It was Alkire’s only blemish in a six-inning, five-strikeout performance for the win. 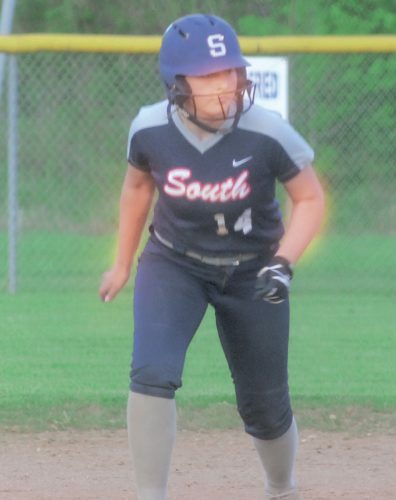 Marietta answered in the next half-inning when Alkire led off with a single, stole second and third, and scored on Jarrett Jackson’s groundout to second base. The Tigers scored three more runs in the top of the fifth to take a 4-1 lead. Dakota Miller scored from third on J.B. Wharff’s bouncer to first. Kail Hill then drew a walk before Adam Coil’s double to right-center plated Wharff and Hill. MHS added four more in the top of the sixth to take control of the game. Brady Vincent’s RBI double plated Joel Neville, Miller scored on Wharff’s grounder to second, Coil plated Cole Alkire on a sacrifice fly and Wharff scored on a wild pitch to make it 8-1. 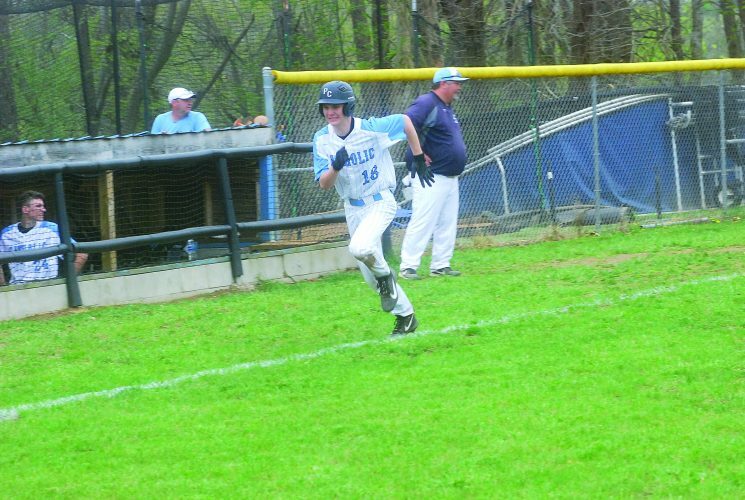 The game’s final run came in the top of the seventh when Cole Alkire singled in Miller to make it 9-1. Brett Gandee pitched the first five innings for Warren to take the loss. He struck out four and walked one. Evan Gandee walked one and fanned one in the final two frames. Kail Hill pitched a scorless seventh for the Tigers with one strikeout. “We hit the ball a ton today,” McKitrick said. “Very proud of the way we hit the ball. 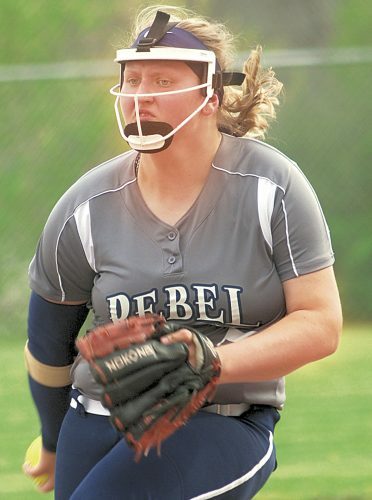 Marietta clobbered the ball against Caldwell (0-2), with six players notching at least two hits. Jackson led the way, going 3 for 5 with a three-run home run. Corbin Alkire was 2 for 3 with three RBIs, Justin Thompson was 2 for 3 with two runs knocked in. Hill was 2 for 4 with an RBI and Coil was 2 for 5 with an RBI. Jarred Richards knocked in two runs. Thompson pitched three innings to earn the win while Coil threw two innings of relief. The Warriors also got a six-inning win over the Redskins. Edgell pitched five innings with six strikeouts for the win and also drove in two runs at the plate. Evan Gandee doubled and drove in two runs, Kurt Taylor was 2 for 4 with two RBIs Drew Huffman went 2 for 4. Hunter Vincent pitched the final inning for the Warriors, striking out one and allowing a run.